The years following Mexican independence in 1821 were critical to the development of social, racial, and national identities. The visual arts played a decisive role in this process of self-definition. Mexican Costumbrismo reorients current understanding of this key period in the history of Mexican art by focusing on a distinctive genre of painting that emerged between 1821 and 1890: costumbrismo. In contrast to the neoclassical work favored by the Mexican academy, costumbrista artists portrayed the quotidian lives of the lower to middle classes, their clothes, food, dwellings, and occupations. Based on observations of similitude and difference, costumbrista imagery constructed stereotypes of behavioral and biological traits associated with distinct racial and social classes. In doing so, Mey-Yen Moriuchi argues, these works engaged with notions of universality and difference, contributed to the documentation and reification of social and racial types, and transformed the way Mexicans saw themselves, as well as how other nations saw them, during a time of rapid change for all aspects of national identity. 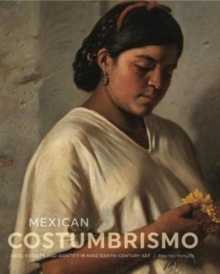 Carefully researched and featuring more than thirty full-color exemplary reproductions of period work, Moriuchi's study is a provocative art-historical examination of costumbrismo's lasting impact on Mexican identity and history. E-book editions have been made possible through support of the Art History Publication Initiative (AHPI), a collaborative grant from the Andrew W.